How to humanley catch nusience sparrows. The Trap-Man Multi repeating live capture sparrow trap. 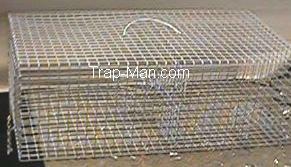 The Trap-Man sparrow trap is capable of humanley catching upto 30 sparrows without resetting. How the Trap-Man humane live catch repeating sparrow trap works. 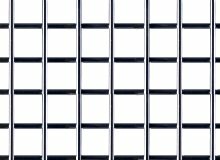 Sparrows enter via two tapering entrance tunnels into the sparrow containment area then the sparrows proceed via another single tapered tunnel into the retention section of the cage. This retention section has a lift up door to remove the captured sparrows. Bait the sparrow trap with grain or seed.